The Anita Borg Grace Hopper Celebration of Women in Computing is an annual conference designed to inspire and empower women in technology, and its growth over nearly the past two-plus decades has mirrored the meteoric rise of women computing. The lessons of GHC18 will have an impact in Bloomington. Twenty-two IU students—11 from the School of Informatics, Computing, and Engineering and 11 from the School of Informatics and Computing at IUPUI—traveled to Houston in October to enjoy keynote addresses from some of the most influential women in technology, network with other attendees, and take part in a career fair that allowed women to meet face-to-face with potential employers who can mold the future of computing. “I look at the Anita Borg Celebration of Women in Computing as a motivational tool for students to see what they can aspire to be and to make sense of the things they’re learning in class,” said Lamara Warren, the assistant dean for diversity and inclusion at SICE. “We also talk to different people who work at different companies at the career fair about what they do in their day-to-day jobs. The conference complements what is being taught in the classroom and inspires women to thrive in the field." The contingent from IU included five graduate students—one each from informatics, computer science, intelligent systems engineering, information and library science, and data science—as well as 17 undergraduates from informatics, computer science, and ISE. 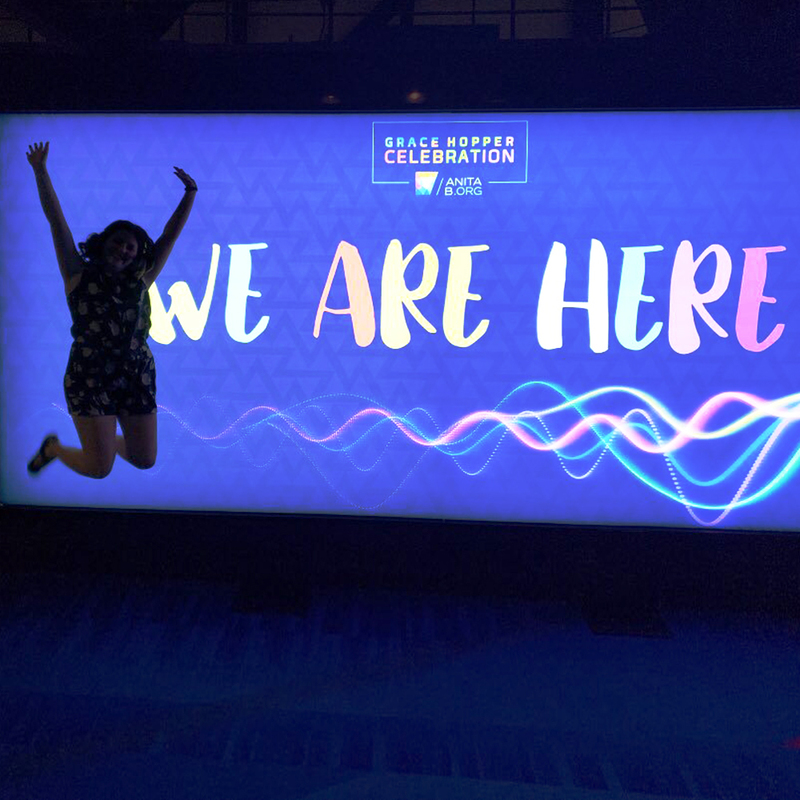 For the first time ever, students in SICE’s ISE program attended the Grace Hopper Conference. 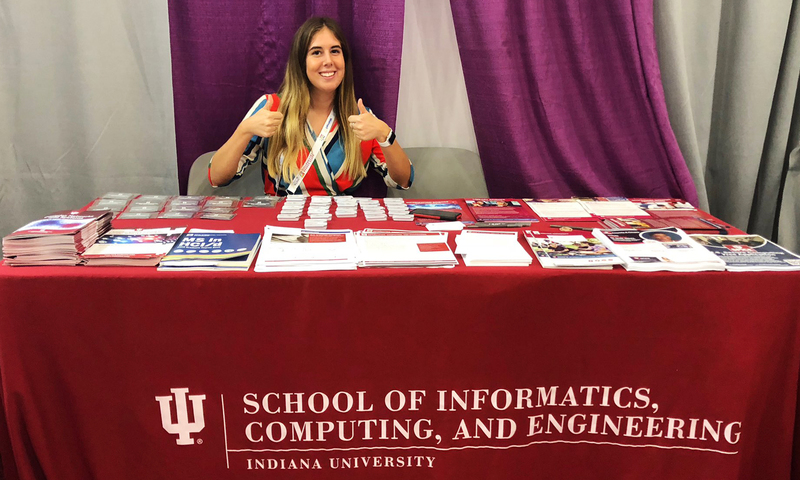 The school of Informatics, Computing, and Engineering hosted an information booth during the transformative Grace Hopper Celebration of Women in Computing in Houston. The event brought together more than 22,000 women from around the globe, a turnout that showcased the power of women in the field. Gabrielle Cantor, a junior in intelligent systems engineering, said the Grace Hopper Conference reaffirmed that she’s on the right path. 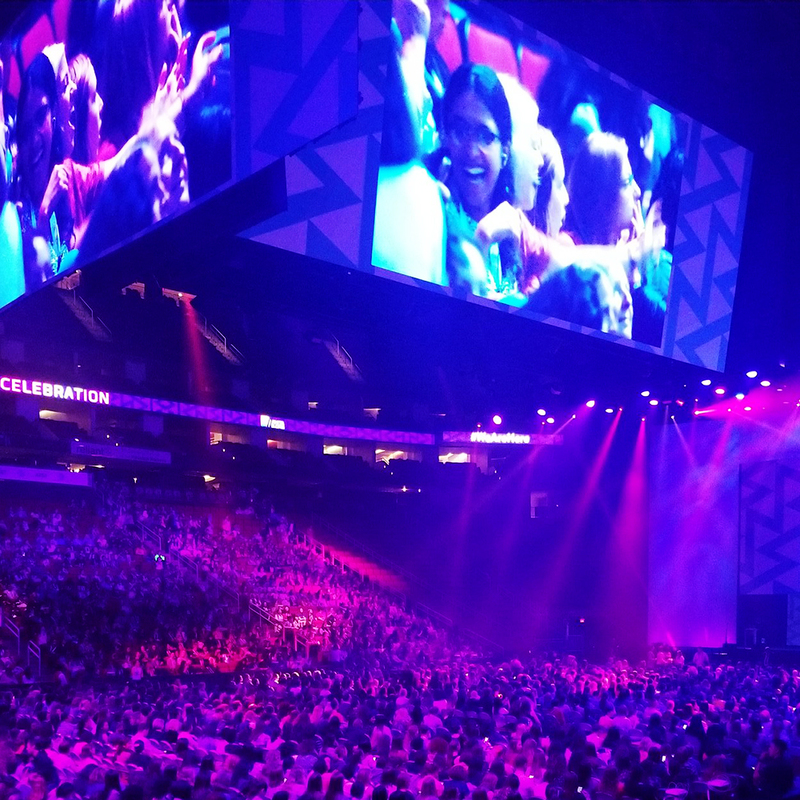 The attendees gained perspective during the three-day event, but the impact of GHC18 will go far beyond what was experienced in Houston. The group is expected to serve as mentors for the women of SICE and spread the lessons they learned at the conference. The spring information session will allow students to include as many Grace Hopper experiences as possible, and students will be encouraged to apply for travel scholarships for the next Grace Hopper Celebration in Orlando in 2019.